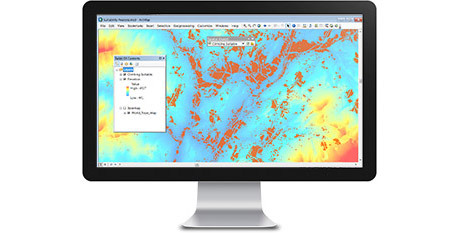 ArcGIS Spatial Analyst augments the capabilities of ArcGIS for Desktop by adding a range of spatial modelling and analysis tools. 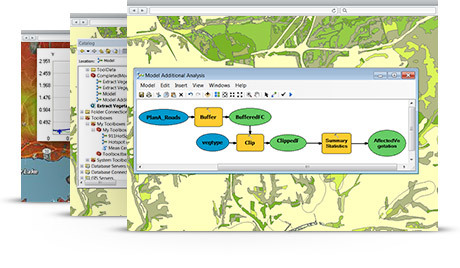 Use it to solve complex problems such as finding the optimal location for a new retail store or determining the most sustainable area for a vegetation class. Whether you are trying to determine an ideal location for operations or trying to avoid unsuitable locations, support your site location decisions with analysis. Spatial Analyst solves the challenge of considering multiple factors that affect suitability and finding locations that meet your criteria, even if your criteria keep changing. Managing risk requires knowing what the risks are. Risk factors like ground slope, aspect, stability, forest fuel load, coastline inundation, and many more can be modelled with Spatial Analyst to understand the risk over your study area so you can come up with the appropriate mitigation plan. The best predictor is often the recent past—plus location. For example, crime incidents where both physical and societal dynamics are analyzed to reveal patterns in space and time inform law enforcement and city planners most effectively. Online shoppers know it—size, weight, and distance add up to cost. Depending on your industry, factors such as terrain, waiting times, or physical obstacles can contribute to your cost. 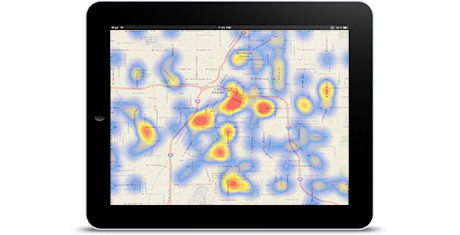 Spatial Analyst enables you to predict and analyze costs to optimize activities using any combination of factors. 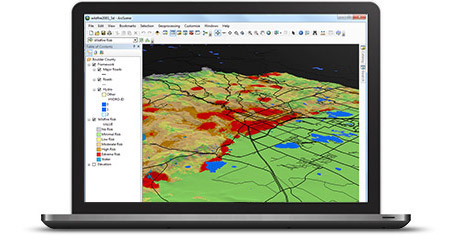 ArcGIS Spatial Analyst is also available as an extension for ArcGIS for Server and ArcGIS Engine.